Ecolifting is a new drive and engine concept from Konecranes Lifttrucks, and is available on Stage 3 engines, meaning it is confirmed available on all machines suitable for West African conditions and fuels. By engaging cutting-edged engine technologies, and making intelligent adjustments to design, Konecranes engineers have developed two Ecolifting solutions that will save both fuel costs, as well as reduce CO2 emissions, without compromising performance. What options are available to our West African customers? 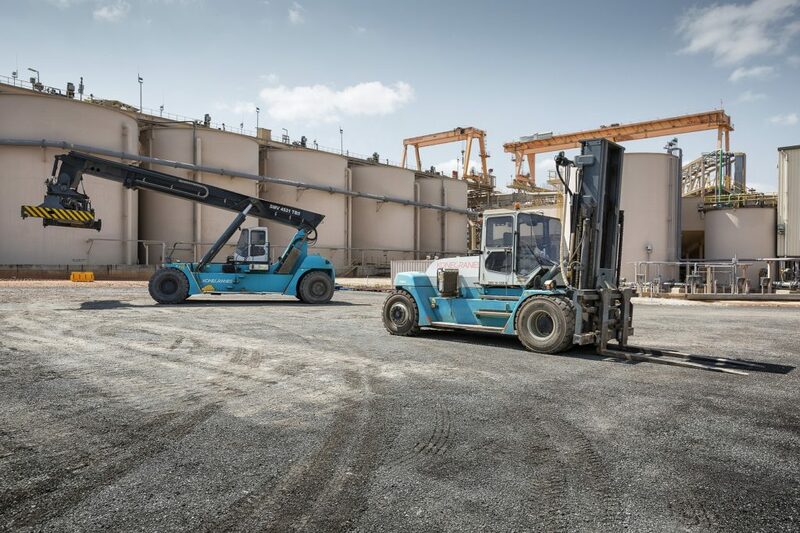 By designing a unique hydraulic configurations system, Konecranes Power Drive Liftrucks have an optimized rpm. 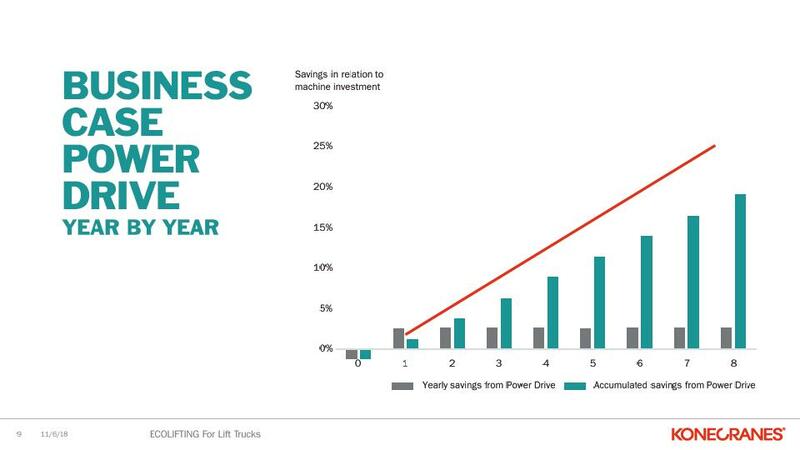 Savings using Konecranes Lifttrucks Power Drive in relation to machine investment. Also available to our West African ports and mining customers is the Flow Drive engine customisation, which is dynamic at low speeds, yet provides full power at high speeds. 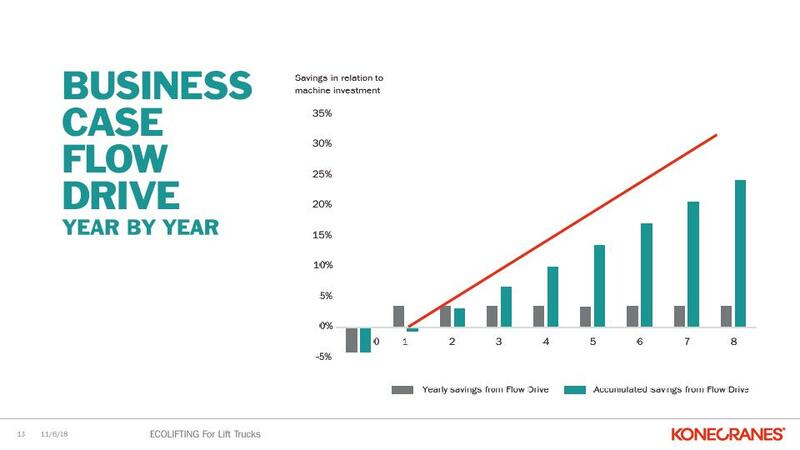 Konecranes Liftrucks Flow Drive savings against machine investment. If you are interested in finding out more details please contact us today.